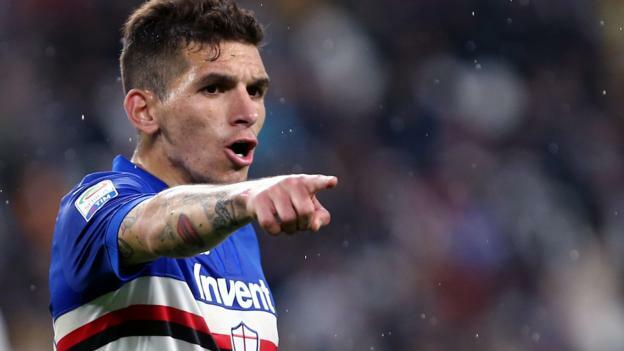 Arsenal are in talks to sign Uruguay midfielder Lucas Torreira from Serie A side Sampdoria. Strengthening central midfield is a priority for the Gunners and the 22-year-old is seen as an ideal fit technically and at a reported £26m, would fall within their budget. Arsenal are also keen to recruit a goalkeeper this summer. No agreement has been reached yet for Torreira, who is in Russia for the World Cup.